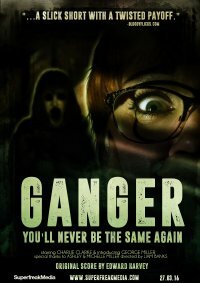 Your new short Ganger - in a few words, what is it about? Helen, a stay at home mum heads up to the attic to investigate a strange noise. Finding an unspeakable horror inside, she'll never be the same again! What were your inspirations for writing Ganger? I have always pondered at the concept of an alternate universe, or another version of me living a life somewhere, every crucial decision being made in complete opposition somewhere else. Myths and legends surrounding doppleGANGER's always scared me, the thought of being replaced and no one being able to tell that this person in front of them was no longer you. 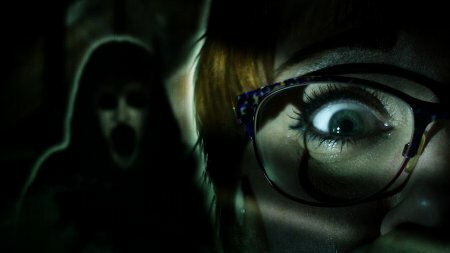 The stories I read growing up were really what inspired me to write the short, but I wanted to create a short that would both creep people out and flat out scare them in places. Sam Raimi is always an inspiration I will revisit when trying to create something with a visual flare, that at the same time scares the bejeezus out of you. Raimi always seems to achieve that, my approach to shot selection, sound design, the whole lot was really a homage to some of Raimi's earlier work. 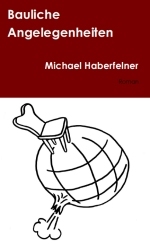 I always had his work in my mind when writing the script. Like quite some of your movies, Ganger is very skeletal in plot - so in what way do you find this limiting and/or liberating? I really like short, snappy, bitesize pieces of horror. I watch so many horror shorts online and I often think people can over-complicate things when the short they've made only last 4 minutes or so. I am also of the view of showing an audience something rather than flat out telling them. I like to leave some questions unanswered and parts of my films open to interpretation. It is of course vital to ensure the story you wanted to tell is there but you don't want to over-compensate and spoon feed your viewers, they aren't dumb. My shorts are usually moments from a much larger story so the short itself might end but I like to think there is always potential there should I ever want to revisit the concept, or expand upon the idea. Approaching a short like this is liberating because it leaves you free to try something new, it allows for some experimentation. It is probably important to point out we shot the film in a few hours, having only developed the idea a few days earlier so knowing the limitations of the space we had, the lack of budget and lack of cast made us get creative, but I still feel the story works. 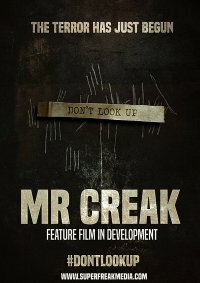 Myself and some other people I regularly collaborate with under the SuperfreakMedia banner are now developing our first feature, based upon the Mr Creak short. This has let us see the other side of the coin, bringing with it challenges as now we have time to commit more to a story, characters and a style. The length of your film determines your focus on story, the longer the film means more time to develop characters so you might just give a s**t when something bad happens to them. I think the shorter your film, the simpler your story should be. 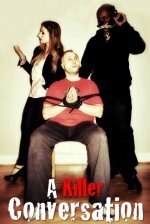 With this short I took on a lot as I shot the film and directed it. I knew I would be editing it too, so like most of my projects I direct for the edit. I know key moments I will want to emphasize and take time on. Knowing how things can cut together is really useful and allowed me to really determine the pace of the short right there on set. As mentioned I love to 'show' not 'tell' so there is very little dialogue in the short. This meant it was important for Charlie Clarke (Helen) to nail the emotions I wanted. To add to the claustrophobia of the piece we mainly shot in close up which really put emphasis on the expressions and emotions of Helen. I always like to get into my character's headspace, and although they might be doing some pretty dumb stuff on screen, there is always a motivation behind it. If I heard a noise upstairs, I'd naturally be curious. There'd be the part of me that'd be "No...Don't go in there!" But I know for a fact, a larger part of me would be too curious to care, I'd still like to think I'd survive a horror movie! With all that being said, it was important for me for everything to feel natural and motivated, there's nothing worse than seeing a forced scare or false terror. I'd shout or bang loudly to get a genuine 'jump' reaction from Charlie which I knew would cut nicely together with the terror that unfolds. Although my visual style can be heightened at times, performances I strive for are naturalistic, real and in the moment. This short was no different. Do talk about Ganger's actress Charlie Clarke for a bit, and what made her perfect for the job? Charlie Clarke is an actress I have had the pleasure of working with many times, in so many different ways too. Charlie loves the genre as much as I do so when I am talking about emulating a scene from a horror classic she gets it without question, whilst also adding her own flourishes to it. When I first met Charlie her experience mainly lay in theatre but working with her over the years she has only got better and better in front of the camera. Charlie is never afraid to push herself and try something new. As a director this is something I always find attractive. This short set up a new challenge for her to play a character twice. Although short it was great to see her get into the headspace of both Helens. Playing scared or being in an horrific situation is probably one of the hardest things to do convincingly and it really bugs me that actors who play in horror films are so overlooked for their ability. 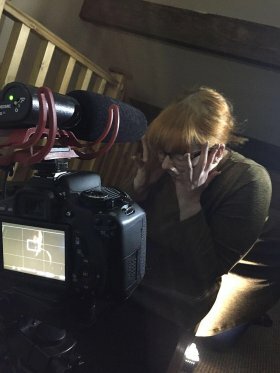 In most situations you can draw off real life experiences to fill in the blanks of your scene as an actor, with horror this is very rarely the case. Unless of course you have been chased by a man with a chainsaw! Charlie is someone I can always rely on as an actress to bring it 110% with each take and never back down from a challenge. The shoot was nice and short and took place in about 4 hours in one day. As the story was simple and the locations limited we didn't need a whole load of time to get what we needed. It was fairly stripped back and a little different to our usual productions. 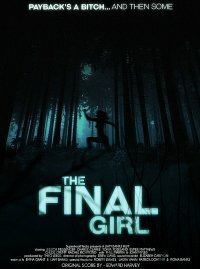 The Final Girl for example, another short we did last Halloween, had a huge cast and crew, multiple locations, outside at night and was all done on a bigger budget. You have to be adaptable and use what you have, this shoot definitely employed that philosophy. With that being said, whatever the budget or size of the production, horror is always a genre I love to work in. The atmosphere on a horror set is like nothing else, I think a lot of people expect when shooting a horror it to be scary or downbeat between takes. It is always the complete opposite. I always like to have fun on set and encourage it from everyone I work with, shooting Ganger was no different, if only you could see the bloopers! Anything you can tell us about critical and audience reception of Ganger yet? The film itself has been completed for some time so I decided to approach the release a little bit differently and get some feedback before it went live. 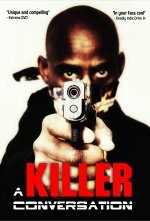 The feedback so far has been incredibly positive, I make films for fans of the genre as a huge fan myself. Hearing great words from other horror fans is always rewarding and keeps me motivated to keep on doing what I love. It is important though to also take constructive criticism on board, as you said yourself in your review, the story is a little scarce so I think this is something I could look to work on in other shorts in the future. I've shown family and friends, but usually their opinion is biassed, most of them jumped in the places I wanted to but I guess the real audience reception will be present when it goes live online. I can't wait! The $64-question of course, when and where will Ganger be released onto the general public? Depending on when this interview goes out it might be out already! If not it will be released on the 27th March, at 7PM (UK Time) on our YouTube channel (SuperfreakMedia). I really hope people enjoy it, if it is out already then I would love to know what people think. Ahhh god! So many, well we announced the development of our first feature. We have begun expanding the Mr Creak short film into a full length feature and that has been amazing so far. We are working our way through various drafts of the script, the next stage would be a table read and look to get some funding as we only want to do the film if we can do it properly and do that story justice. Aside from that we have plenty of shorts planned in various genres, we are really at a stage where we are assembling all of the pieces to move forward with ideas we have. We have a shoot planned in April to enter a 24 hour film competition so are just assembling a team and finalising the story. We might even be looking to get things in place to start the #1minutenightmare series again, but honestly that might not be until in the new year! There's a lot more going on but I don't think I can talk about everything just yet! I initially was really into my creative writing as a child so would always be writing stories. It was only when I was a little older and I started going to the movies with friends more that I suddenly realised that films were another way of telling stories and the audiences could be huge. It was honestly like a light bulb clicked on in my head somewhere, I borrowed an old camera of a close family friend and started shooting things. The camera was a Sony DV camera, so over the weekend we would shoot comedies, dramas, pretending we were in soap operas or fake commercials. At the end of the weekend we would all get around the TV and watch them. When I was a little older I saved up my pocket money and brought my first camera. Over summer between leaving school and starting college I shot my first short. It was of course a horror and is actually available to view still on my channel, not that it needs to be viewed any more, I guess I just keep it there for sentimental reasons. Things just went from there, a following on YouTube developed and I knew that I wanted a career as a filmmaker. I continued my studies at College and then went on to University and graduated last year with a first class degree in Film and Video Production. I do feel going through an academic route was great and I did learn so much, I met great people I still work with and got to experiment with film a whole lot. With that being said, I don't think it's essential, I know plenty of great filmmakers who haven't studied, if you have the passion and the stamina to make a film you'll do a great job regardless. What can you tell us about your filmwork prior to Ganger? I probably answered too much in the above question but horror has mainly been a genre I have stayed in and built a following with. Horror is where the main body of my work lies, I have delved into the other genres but horror is where my passion lies and where I feel most at home. I love creating worlds within my work so always try and do something new with each short, push a bit harder with production values, try and push the talent I work with to ensure the performances on screen are their best. I think if you do look back at my work from when I started to now I think it's defnitely improved. I'm not one to ever toot my own horn though and think with everything I do there is always room for improvement but I think the best way to improve is to keep practicing as with anything. Each project whether deemed successful or not helps me so much to progress and find my voice. I think that over the last couple of years or so I have definitely developed a unique style to accompany the SuperfreakMedia brand. I have been really fortunate and lucky to get to know some great people and work with some amazing talent. As I have continued on my journey the opportunities that have presented themselves to me have also been incredible. I have had my work shown around the world in Mexico, Germany, Canada and the US. My graduation film was shown on Halloween night at the Chinese Theatre in LA and just last year Mr Creak was shown on BBC Three as part of their The Fear series, placing 5th nationally out of over 800 entries. It's important to be thankful and recognise achievements but with each film still strive to get better and entertain anyone who might stumble across my work online. Most of your movies are of the horror variety - is that a genre at all dear to you, and why (not)? Horror is my favourite genre full stop. Whether it be films, literature, TV, anything I love horror. I love watching and making horror films, being scared and making other people scared (in a safe way of course) is such a great experience. The fun you have on set when making a horror film is immense and that's the sort of thing I live for! Right from being a child I loved to stay up late and watch movies that were way too scary with my hands over my eyes. I loved that feeling! I'd read Goosebumps in the library while everyone else read Harry Potter. I mean I even love Halloween more than Christmas, so in answer to your question, horror is dear to me and I think it always will be! Horror is unique because the fan base and the people who dig it are amazing. I guess I have stuck with the genre so much because I've grown up with it. When I have been lucky enough to attend a screening of one of my films it's so fulfilling to see people jump out of their seats or even scream. I know it's kind of sick but it makes all the hard work worth it. More than anything it's my dream one day for a kid to stay up late and watch one of my films, be scared s**tless and feel inspired to pick up a camera and terrify someone else. I think I better stop there before I talk anymore otherwise this interview could turn into a novel! Do talk about your production company SuperfreakMedia for a bit, and how did it come into being, and what's the philosophy behind it? I started SuperfreakMedia in 2009 just when I was finishing school and starting work on my first short/web series. I knew that in order to be taken seriously it might be an idea to have a brand to go with my films and if I carried on creating work they could all be published in the same place. I started SuperfreakMedia as a YouTube channel February 16th, 2009. From there Facebook took off as did Twitter, etc and I did the best I could to try and engage with new people. The following grew and continues to grow which is amazing and hearing feedback of any kind on your work is so rewarding. Over the last couple of years, through my time at University, the company became a whole lot more professional, we have a regular team that works on the productions, more focus has been placed on marketing and we started to enter our work into festivals. Just believing in ourselves and the brand we have continued to make the films we want to see whilst building our audience. The whole philosophy behind the company is the same as our tagline 'Creating for Nostalgia'. Everything we make has a dash of retro cool, we never lack on ambition and always work to create a world that an audience can immerse themselves in. Cinema is afterall a great form of escapism. We have created anything from adverts shown in local Cinemas to music videos and short films, right up to now with our first feature film in development. The momentum keeps building and I know myself and the team can't wait to see what's next as things just seem to be getting better. This is tough. I would have to say first and foremost 'ambitious'. Everything I do I am always looking to push a bit further, try a bit harder. The budget for our creations is never anywhere near enough but that never stops me from committing to my vision and aiming high. Working with these confines sometimes really forces me to get creative and I often think my best work is at times when things were most hard. Secondly I would have to say I am adaptable, which I think any good director needs to be. Things can change so quickly on set from bad to worse and you have to be able to find a way to pull through. I'd like to think that I'm fun and laid back when I need to be, I don't ever feel there is a need to be barking orders to someone on set. As it stands I don't think anyone has ever left a film we've worked on together on bad terms, I love meeting new people and working with them again and again, it's like a family I guess. I love to eat up as much information on directing styles and techniques as I can from my favourite directors. I can't begin to imagine the amount of hours I have lost of my life watching special features, reading biographies and filmmaking guides. All in all though you find your own voice and own way of doing things and this is something I have come to realise over the last few years. In my early work I think I payed more attention to the visual side of things, and although still important to me, I feel I have learnt to balance this more with a focus on performance and pacing too. I always like to pay attention to detail and even after the set dresser and production designer may have sweeped the set I will usually scuttle in and adjust, again to make things more akin to that vision. I'm committed and never give up on anything, no film has ever been lost to the ether, if I set out to make something it gets done. I mainly handle things in post too so my directing style of course bears that in mind as what we get on set feeds directly into the latter stages of production. I'm always open to collaboration and any ideas the actors might have concerning a character, in fact I encourage it. Yes you can hand an actor a character profile and break everything down to the finest detail, but the magic you get on screen will be when that person has become that character and uses their initiative too. Directing is in essence a process of collaboration and I would be nothing without the great people around me, I am extremely lucky. There are so many who have inspired me, even in films I don't particularly like I usually find something that I think was a great achievement. Filmmakers of whatever standard really inspire me because I know how difficult it can be sometimes to get a film made. If I had to break down more well known filmmakers that perhaps inspire me we'd be looking at some genre greats. Right at the top of the list would be John Carpenter. In my eyes this guy can do no wrong, I have loved his work from an early age and this hasn't changed. Carpenter is rare find with the fact he has tackled a whole variety of genres and still managed to create an array of cult classics. Carpenter was a filmmaker for me who made me understand the importance of sound and music in a film. His characters rock and the worlds he creates are incredible, I can only hope I get the opportunity to enjoy some of the success he has with his work. Sam Raimi is another inspiration of mine and as mentioned played a big part in the look and sound of Ganger. Mainly being a fan of his horror work as opposed to Spiderman, etc, I love both his early and latter genre offerings. The scares in his pictures have stood the test of time and taught Hollywood in essence the power of a jump scare, even if it is a tad overused now. Dario Argento is another great inspiration particularly with his chiaroscuro lighting and oppulent film sets. I'm a big fan of the giallo subgenre so try to adopt his lighting style and art direction with my own pictures, even if they aren't of the slasher variety. Delving deeper into the genre, more recently I have been consumed by the work of James Wan and Ti West. Wan has had a lot more commercial success but I still feel his body of work holds a certain quality which doesn't seem too polished but wonderfully theatrical and stylish. I approach my work with an idea of style and love to have heightened lighting, sound or costuming to make my work stand out from the more run of the mill style horror. It is great to see such a successful director in the genre doing so well, I definitely think he is the modern day king of horror. Ti West's House of the Devil was a stand out piece of cinema for me and his knack for building tension is comparable to Hitchcock. West often doesn't have an amazing budget yet still manages to achieve some amazing results, his work is often praised by critics and the scale of his projects keeps building. I can't wait to see more from him. Citing filmmakers who were in a similar situation to me and have gone on to success I would have to mention, Fede Alvarez, Dan Trachtenberg and David F. Sandberg. All were filmmakers I followed on YouTube and were plucked from the net and have made it in Hollywood. I have still to check out Trachtenberg's 10 Cloverfiled Lane, but the reviews have been phenomenal so far. Both Alvarez and Sandberg were supported by two of my idols, Raimi and Wan respectively. I have everything crossed one day a short of mine is seen by the right people, that's all it takes these days to open a door to the dream career. I think subconsciously with everything I create I am always thinking of these directors and how they might shoot something or stage something. I think it's important to acknowledge your inspirations but be sure to develop your own approach to things out of them too. Halloween would have to be my favourite movie of all time. Although big on the horror a lot of my favourite films fall outside of the genre. Kill Bill is a film I revisit time and time again and is part of the reason I love Tarantino so much. It Follows was a stand out film for me last year and was one of few films in the last decade or so to actually unnerve me. Super 8 is a film I love for it's nostalgic vibes and reminds me of another favourite of mine ET. ET was actually one of the first films I can remember watching and scared me so much! I can remember for years after having nightmares about him coming into my room, again probably another reason I love horror. Spielberg always had a knack of making a family film that could scare the s**t out of you. More recently I really enjoyed Spotlight and am so pleased it won best picture at the Oscars. It got me on an emotional level, I loved the retro setting, the performances were incredible and the story was one I feel needed to be told. Mad Max: Fury Road was another film that fared well at the Oscars which I absolutely loved. The editing on that film was incredible and the fact it felt like one long chase that kept getting more intense was an absolute treat. I don't know how a film that managed to keep topping each sequence. I try and consume as much cinema as I can and love watching older movies to see how far things have come or how trends started out. I think in order to try and be a better filmmaker you really need to know as much about the world of cinema as you can. Films I really hate would have to be most remakes. The Carrie remake really infuriated me as it was literally a tread for tread retelling with the exact same script, underacted, not stylised at all. It just lacked everything that made De Palma's original so special. I wrote my dissertation on Carrie at University so I love the film and was so unbelievably disappointed. I can understand some films being remade for a new audience but they literally added nothing and it just made me mad! Most recently I have noticed some really crappy horrors get release such as The Other Side of the Door and The Forest. Both were terrible and cheapened the genre, it's films like that, that give horror a bad name. I do find it difficult to genuinely hate a film as I know how hard people work on them, even the likes of Sharknado 3 I love to an extent because you know it must have been so fun to make. I don't like films that don't offer anything new or plagiarise other peoples ideas without any credit. Cinema should be moving forward as it always has, with Hollywood playing it safe now more than ever, I just hope we carry on pushing on. Don't think there is you asked plenty of questions. I guess all I would really like to say would be a massive thank you for the interview and for getting the opportunity to talk about some of this stuff. I'm a big fan of the site/community you run. Thanks again and I can't wait to see what's next!